West Yorkshire Canoe Club is affiliated to the British Canoe Union (BCU). We are a family canoe and kayaking club, founded in 1955, and based in and around Wakefield in West Yorkshire. Club membership is drawn from a wide geographical area and reflects the broad appeal of the Club’s services and events, catering for a variety of interests including canoe polo, slalom, play boating, sea surfing, wild water racing, whitewater touring and recreation. Saturday afternoon sessions at Pugney’s Country Park, Wakefield during the warmer months (April to October/ November) meet at green container 12.30pm to be on the water for 1.00pm. Thursday evenings at the Pontefract Swimming Baths from 8:15pm to 9:30pm. Friday evenings at Batley Old Baths on 7.30pm to 8.30pm (except July & August). 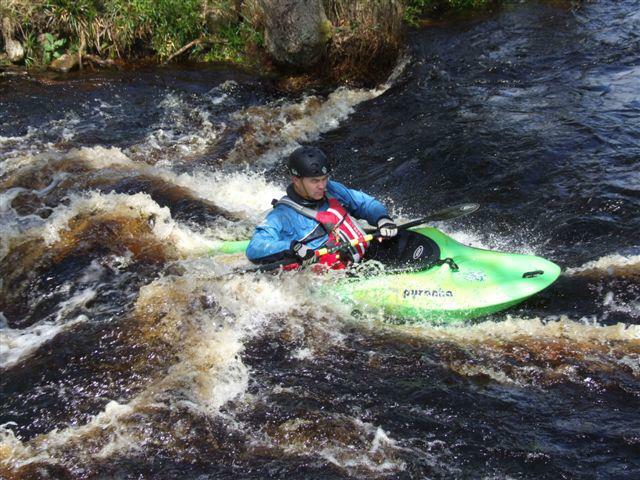 During the summer months of July/August, we will usually be paddling on the River Calder. National Slalom, National White water river races, open weekend and also several river trips each month at various levels are run by the club at times throughout the year. A calendar of activities is available to view and we welcome anyone to come along and have a go. Please feel free to attend any session, just bring along suitable attire for swimming in. We provide coaching from basic paddling skills taught in the pool and lake and move quickly onto the skills required to paddle white water. 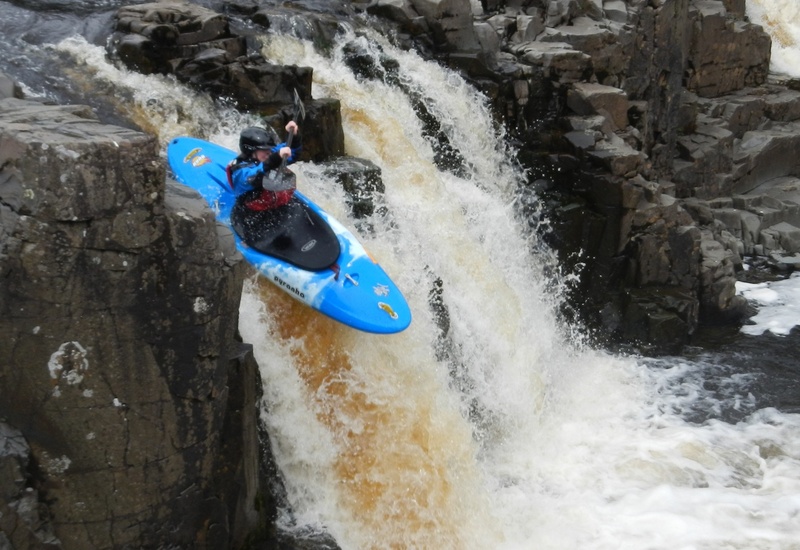 The club organises lots of river trips all year round, ranging from gentle flat-water paddles along the River Ouse for beginners up to advanced white water such as the River Tryweryn for the more experienced. As well as running river trips, organised events such as the Washburn Weekend & West Tanfield Family Weekend are held along with holidays for our members such as the club trip to Ilfracombe in Devon every summer and the Sandsend Surfing weekend. Please take the time to have a look around our website and feel free to contact us with any questions you may have – please see the Contact page for details on how to get in touch. It is important to note that attendance on a club river trip requires you to be a current club member and have previously attended pool or Pugneys sessions in order to demonstrate the necessary skills to be able to safely paddle on moving water. All members should feel confident in water and be able to swim 50 metres in normal canoe clothing, though this is not a barrier to entry. For Club events participants must wear Club approved canoe clothing and use approved boats. These can be provided by the Club at no cost. Members under the age of 18 must wear helmets at all events. Each W.Y.C.C. event is overseen by an Event coordinator. The club follows the BCU Child Protection guidelines and policy – a copy of which is available here: Child Protection Policy. Membership of WYCC is open to anyone who wishes to enjoy canoeing in a relaxed atmosphere. It is important to stress that members who are still at school require the active support of their parents, both financially to purchase equipment and in terms of transport to and from events. All WYCC members recognise that Canoeing and Kayaking are ‘Assumed risk’ ‘water contact sports’ that may carry attendant risks. All WYCC members should be aware of and accept these risks and be responsible for their own action and involvement. Present membership (Oct. to Sept) is £20 for an individual or £30 for a family. To become a club member requires you to have attended the regularly held pool or Pugneys sessions 3 times (see ‘Where to find us?‘ for further details). The membership form is available to download here. Once completed, please hand the form and payment to a member of the committee at either Pugneys or one of the pool sessions. Alternatively, you can post to the address listed on the form.